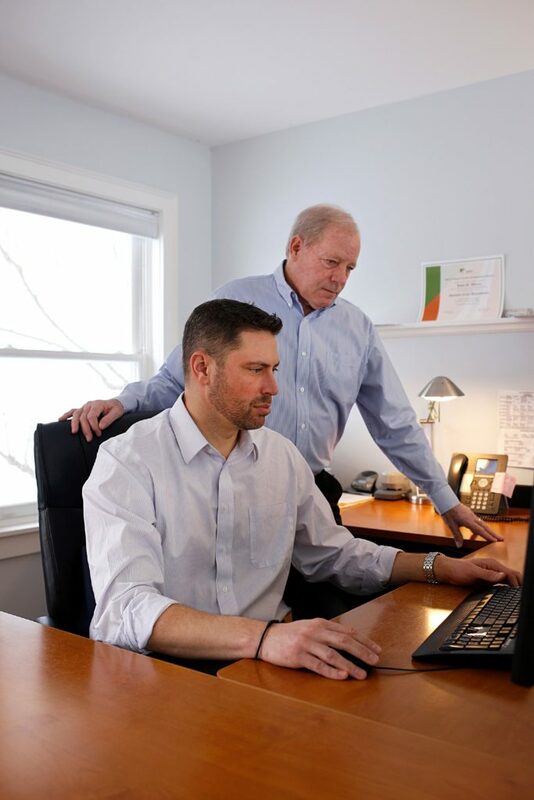 Jason Whitney and his father, Martin Whitney, pose for a portrait at the Whitney Pension Associates Inc. office in Quechee, Vt., on Jan. 10, 2019. Jason has taken over his father's retirement advising business and hopes to pass it on to his own children one day. (Valley News - Joseph Ressler) Copyright Valley News. May not be reprinted or used online without permission. Send requests to permission@vnews.com. 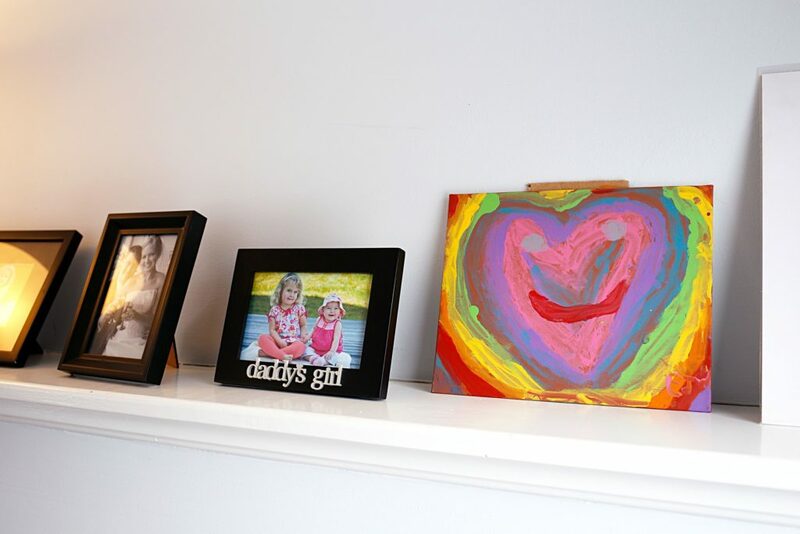 Pictures of family sit on display in Jason Whitney's office at Whitney Pension Associates Inc. in Quechee, Vt., on Jan. 10, 2019. Jason has taken over his father's retirement advising business. (Valley News - Joseph Ressler) Copyright Valley News. May not be reprinted or used online without permission. Send requests to permission@vnews.com. 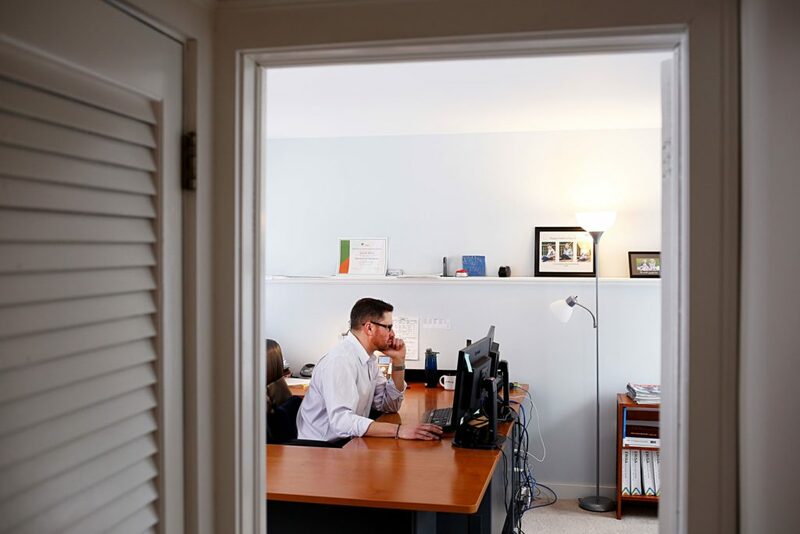 Jason Whitney works in his office at Whitney Pension Associates Inc. in Quechee, Vt., on Jan. 10, 2019. Jason has taken over his father's retirement advising business. (Valley News - Joseph Ressler) Copyright Valley News. May not be reprinted or used online without permission. Send requests to permission@vnews.com. Cheryl Boghosian and her brother Aharon both grew up working in their parents' interior design business, Gilberte Interiors, then took time away, she to work for an interior design firm in Boston, and he to work for a window treatment vendor, before returning to run the business together. The Boghosians work together at their Hanover, N.H., location Thursday, Jan. 10, 2019. "We got to learn the business literally from the ground up," said Aharon Boghosian. (Valley News - James M. Patterson) Copyright Valley News. May not be reprinted or used online without permission. Send requests to permission@vnews.com. 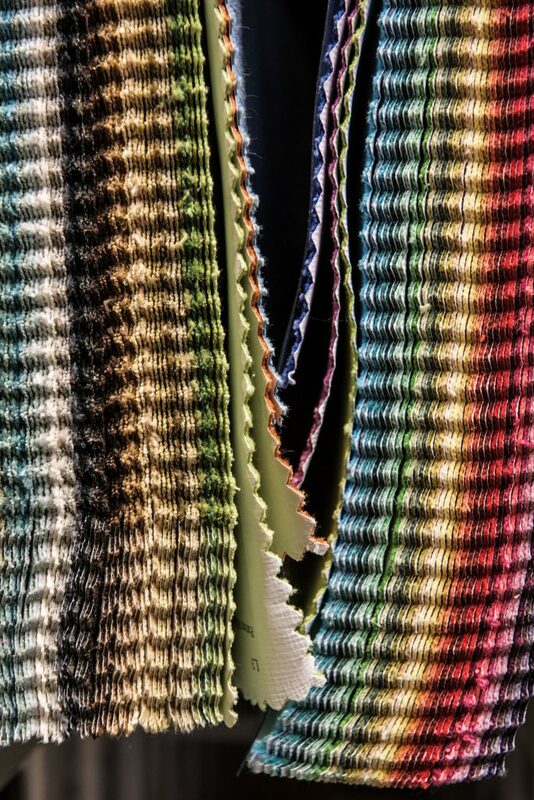 Fabric samples hang on the wall at Gilberte Interiors in Hanover, N.H., Thursday, Jan. 10, 2019. Gilberte and Antranig Boghosian started the business over 50 years ago and their children Cheryl and Aharon now co-own it. (Valley News - James M. Patterson) Copyright Valley News. May not be reprinted or used online without permission. Send requests to permission@vnews.com. Seamstress Debbie Frazier, left, is the third generation of women in her family making custom slip covers and she took over for her mother as a seamstress for Gilberte Interiors. Cheryl Boghosian, right, checks in with Frazier as she works on a series of custom slip covers in Hanover, N.H., Thursday, Jan. 10, 2019. "I don't work for any other decorators," said Frazier, who also maintains her own workshop in Raymond, N.H. "The workmanship in this place is only the best." (Valley News - James M. Patterson) Copyright Valley News. May not be reprinted or used online without permission. Send requests to permission@vnews.com. 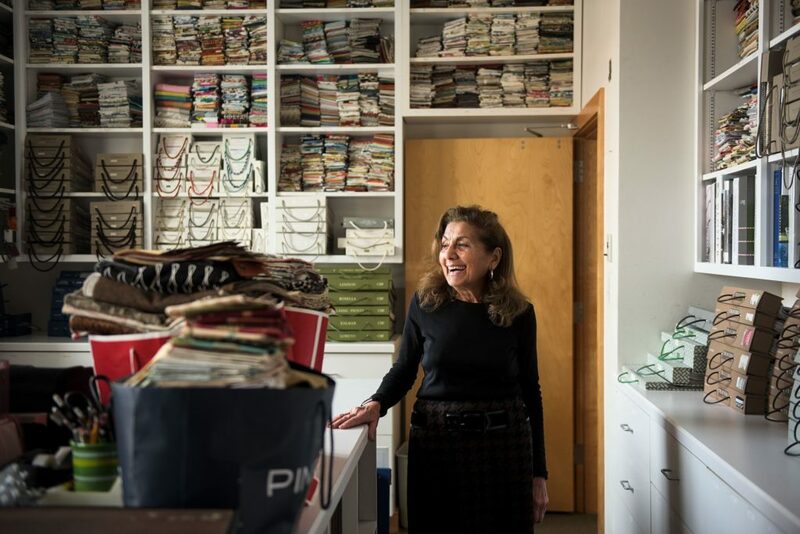 Gilberte Boghosian started a drapery and upholstery business more than 50 years ago with her husband, Antranig, and they gradually grew into doing design services and offering custom fabrics and furniture. Boghosian stood for a portrait at the Hanover, N.H., headquarters of the business on Thursday, Jan. 10, 2019. (Valley News - James M. Patterson) Copyright Valley News. May not be reprinted or used online without permission. Send requests to permission@vnews.com. Dan Fraser, co-owner of Dan & Whit's General Store, checks a product for a customer in Norwich, Vt., on Jan. 7, 2019. 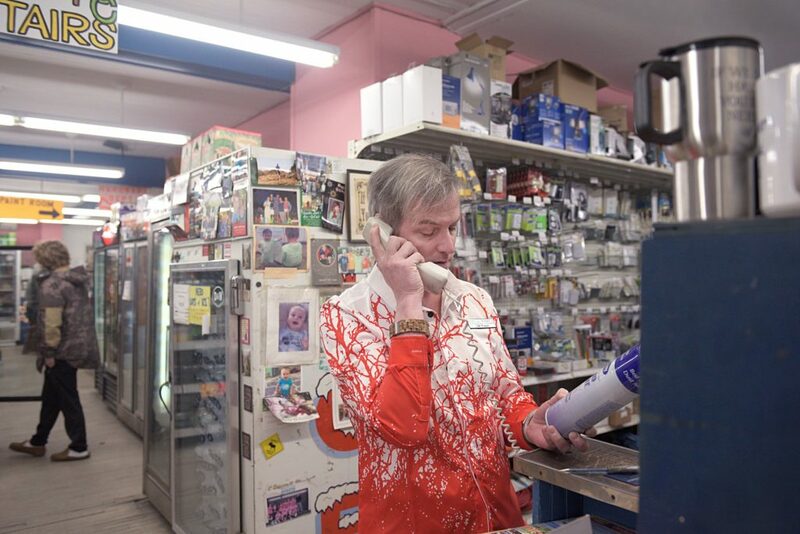 Fraser is the third-generation family member to run the local store. (Valley News - Joseph Ressler) Copyright Valley News. May not be reprinted or used online without permission. Send requests to permission@vnews.com. George Fraser, co-owner of Dan & Whit's General Store, grabs fuel for the woodstove in the store's basement in Norwich, Vt., on Jan. 7, 2019. 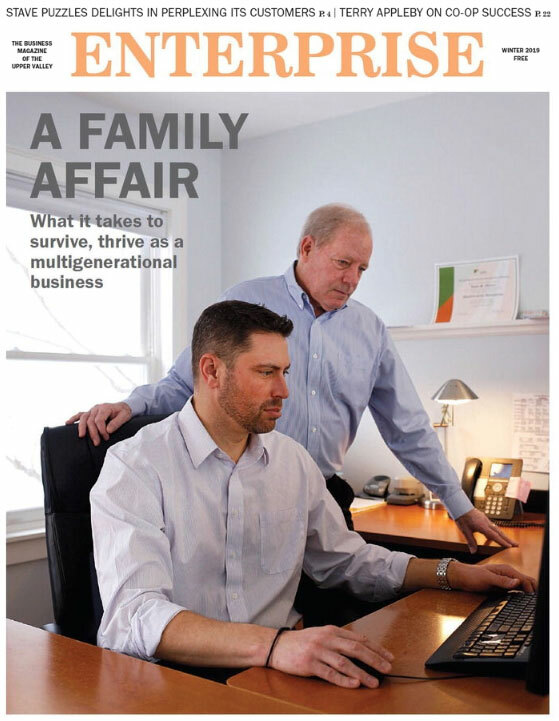 Fraser is the eldest generation of this multigenerational area family business. (Valley News - Joseph Ressler) Copyright Valley News. May not be reprinted or used online without permission. Send requests to permission@vnews.com. 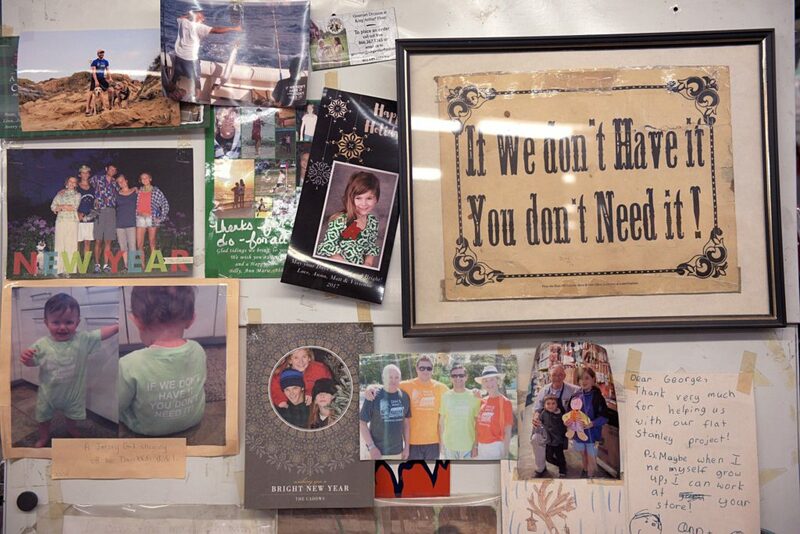 A refrigerator is covered in notes and photographs from customers at Dan & Whit's General Store in Norwich, Vt., on Jan. 7, 2019. (Valley News - Joseph Ressler) Copyright Valley News. May not be reprinted or used online without permission. Send requests to permission@vnews.com. Employee Josh Picknell, of Lyndonville, Vt., right, asks co-owner Matt Fraser a question at Dan & Whit's General Store in Norwich, Vt., on Jan. 7, 2019. (Valley News - Joseph Ressler) Copyright Valley News. May not be reprinted or used online without permission. Send requests to permission@vnews.com. 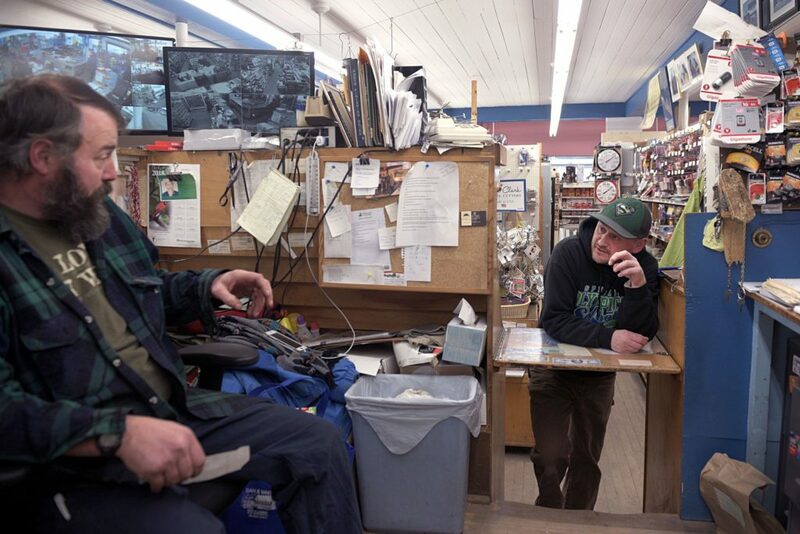 Jess Brown, of Sharon, Vt., rings out Carey O'Neil, of White River Junction, Vt., at Dan & Whit's General Store in Norwich, Vt., on Jan. 7, 2019. "I've been looking everywhere for a bread maker, and I finally found it here," O'Neil said. "If you need something, look here first." (Valley News - Joseph Ressler) Copyright Valley News. May not be reprinted or used online without permission. Send requests to permission@vnews.com. David Seigne, of Norwich, Vt., works behind the deli counter at Dan & Whit's General Store in Norwich, Vt., on Jan. 7, 2019. Seigne has worked at the store on and off for five years while studying at Boston University. (Valley News - Joseph Ressler) Copyright Valley News. May not be reprinted or used online without permission. Send requests to permission@vnews.com. Jason Whitney was a college student when he first worked for Whitney Pension Associates, his father’s retirement administration firm, then located in Wellesley, Mass. The summer job involved a lot of data entry, which was boring for a young man majoring in criminal justice and with his sights set on joining the FBI. While waiting on the FBI, Whitney went out west to San Diego, where he worked private security for a museum and a biotech firm. The jobs were interesting, but San Diego real estate was proving expensive, and his wife, a teacher, wasn’t enamored of the local school district. In the meantime, Whitney’s father, Marty, had moved the firm to Quechee to be closer to the Vermont mountains that he and his wife love. As Whitney and his wife thought about what they wanted as they began a family of their own, his father’s business — now located in the Upper Valley — spoke to him in a way it hadn’t before. “I called up my dad one day and said, ‘Hey, I’m moving back,’ ” Whitney said. Being in a family businesses has its rewards and challenges. The hours are often long, though you’re building something for yourself. You’re working with and learning from trusted relatives, but it can be tough to keep work and family life separate. And if a family business hopes to succeed through the next generation, at some point, the next generation has to sign on. Marty and Jason Whitney spent about six months talking back and forth on how to integrate the younger Whitney into the firm. It was a change of plans for Marty Whitney, who had expected he eventually would sell his business and retire. Instead, he was investing in his son and the future of the business. Marty Whitney still would be in charge, at least for a while, and Whitney agreed not to come in and make any big changes while he learned the ropes. In the summer of 2008, Whitney joined Whitney Pension Associates — and started out doing the same data entry tasks that had driven him away years ago. Whitney Pension Associates manages retirement administration details and paperwork for about 350 clients, a mix of businesses and individuals. Its biggest client, located in Boston, has 800 employees, but it also works with Dartmouth College professors in the Upper Valley. “It’s a good business to be in, helping people retire,” Whitney said. It’s a small firm — just Marty, Jason and one other non-family employee. The Whitneys are open to another hire sometime down the road as their business continues to grow, but right now they’re happy with their current size. Whitney said that keeping the business in the family was welcome news to clients. They like the continuity, and in a business that depends on trust and relationships, a change in ownership might have made them look at other firms. “I bet they would go out and shop around, which is totally understandable,” Whitney said. Today, Marty Whitney is partially retired, though he remains involved in the business. Jason Whitney still leans on his father for his advice and expertise developed over the years, a built-in advantage for a generational business. It’s also been an opportunity for father and son to bond over shared business interests. “I don’t think of him as much as a son when we’re working,” Marty Whitney said. On the job, the two are partners and co-workers. Whitney’s kids are too young to know if they’ll have any interest in joining their dad at work, but after his experience working with his father, Whitney likes the idea of keeping the family business going. “We are building something together, and it’s exciting,” he said. But while being a generational business may help bring in customers, it hasn’t helped with hiring. The labor market is tight all over the Upper Valley, and finding good hires is Fraser’s biggest headache. 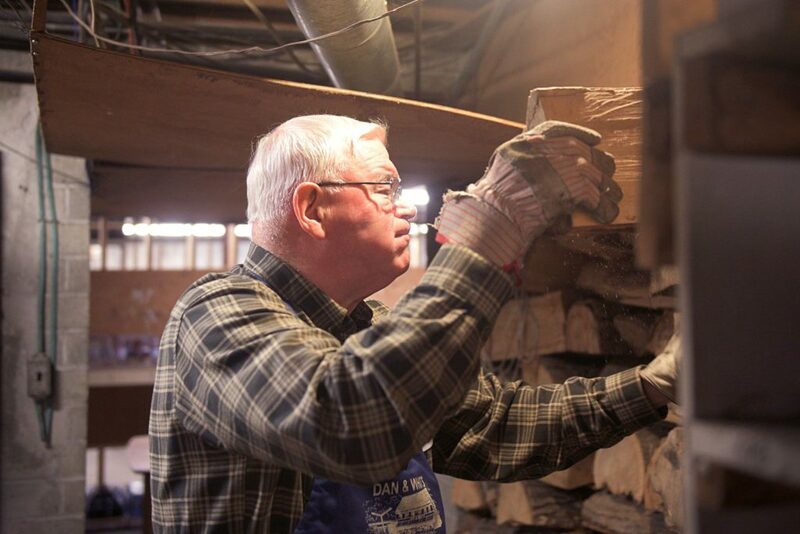 Dan & Whit’s has 12 to 15 full-time employees, in addition to dozens of part-time workers. But it’s not nearly enough. Fraser and his brother Matt, who share ownership of the store with their father and uncle, George and Jack Fraser, put in 85 to 90 hours per week. That’s an average of more than 12 hours per day, seven days a week, and Fraser wonders if the next generation will want to shoulder those kinds of schedules. “We have lots of time to think about that,” he added. Fraser grew up around Dan & Whit’s, working at the store while in school, as well as during his time as a teacher. After a longtime employee retired, and with no replacement in sight, Fraser committed to running Dan & Whit’s. Fortunately, he’d had plenty of on-the-job training, a common trait of generational businesses. “You spend a lot of time here before you step up and take more responsibility, so you really see how things are done,” he said. Fraser’s father still works at the store, offering advice when needed, maintaining the institutional memory, and helping customers find infrequently purchased products, such as a recent request for a septic tank cover. Fraser notes that in a family businesses like Dan & Whit’s, having trusted non-family members on staff is invaluable. They offer new perspectives on the operation, bring different skills to the table, and can cover when there’s a family wedding, vacation or funeral. “It makes it very difficult to have everyone attend at the same time,” Fraser said. And while being part of a bigger retail operation might free him from some of the long hours and onerous administrative tasks, Fraser said he appreciates that he doesn’t have to ask corporate bosses if the store can, for example, sponsor Norwich’s baseball team. “We just do it,” he said. Fraser cited the importance of clearly laid-out rules and procedures for store operations. You can’t get sloppy with finances just because it’s family. “That’s where you start to have problems,” he said. Fraser knows that part of the store’s charm is its worn, wooden floors and historic feel, but he recognizes the importance of balancing the old with the new. Dan & Whit’s has added more take-away food options such as pizza, and seen summer success with its ice cream window. The credit card readers and computer cash registers were a surprise to some, but, Fraser explained, a generational business has to keep up with the times. “Change is hard for anybody,” he said. Other changes have been hard on Dan & Whit’s. People increasingly shop online, grocery margins are tighter and Vermont taxes, regulations and paperwork requirements have become a growing burden on the short-staffed operation, Fraser said. “It’s a very different world than it was just 10 years ago,” he said. And shoppers can always go across the river to New Hampshire for bigger stores and no sales tax. Fortunately for Dan & Whit’s, Norwich has a well-off population that values having a local store that carries a little bit of everything. But it’s still something that concerns Fraser. “I really believe if we weren’t in Norwich, we wouldn’t be in business,” he said. Richard G. Reece spent his life in the business world, working for a big New York accounting firm, taking various companies public, and even coming out of retirement to join Global Rescue in Lebanon. When he finally re-retired, Reece — a onetime contributor to Enterprise — needed something to keep him busy, so he volunteered with SCORE, a national nonprofit organization that offers workshops and free mentoring to small businesses. “It’s very fun and rewarding,” he said. Now the president of SCORE’s Upper Valley chapter, Reece enjoys advising area businesses owners. In the process, Reece gets to learn about interesting new businesses and ideas that he’d never even heard of. Because of that, “I’m actually engaging at cocktail parties,” he joked. Reece has worked for and mentored family businesses, and he’s close with the owners of a fourth-generation family machine shop. He gets the strength of a family business — the trust that comes from working with family, the long-term investments a business might make when planning for the next generation — but he cautions that generational businesses also present their own pitfalls. As families grow through marriage or having children, more people become involved in the business, and that can increase the potential for conflicts over who makes what decisions, who spends more time working and who takes more of the benefits. In a typical corporation, Reece explained, there are rules prohibiting relatives from working in the same department or even at the same company that are meant to avoid such conflicts. “But with a family, you can’t disown a family member, so to speak. That’s the fragility,” he said. Statistics compiled by SCORE say that 30 percent of family businesses successfully transition from the first generation to the second; only 12 percent make it to the third generation. Reece is skeptical of these oft-cited statistics, which are derived from a 1980s study, thinking they sounded too high. “I would have thought as our world changes and businesses are really changing exponentially now, that really speeds up the failures,” he said. Pramodita Sharma, a professor at the University of Vermont’s Grossman School of Business who studies family businesses, also pokes holes in those statistics. In an article she wrote for FFI Practitioner, an online publication about family businesses, Sharma noted that a family enterprise can control, start and stop multiple businesses throughout the generations. The survival of a single firm does not always equal a family enterprise’s longevity. Sharma also suggested that with people living longer lives, there can be more opportunities for generational businesses to develop. Of course, that may require extra planning. In Entrepreneurs in Every Generation: How Successful Family Businesses Develop Their Next Leaders, a 2016 book she co-authored, Sharma found that successful generational businesses regularly develop career plans for family members. “With careers spanning 40 to 50 years these days, thinking in terms of chapters of an adult career with each phase spanning 10 to 15 years works well for family enterprises,” Sharma said in an email. Reece said the biggest mistake generational businesses can make is to try to shoehorn in one of the children to take over when they’re not equipped to do so. But having worked for a number of entrepreneurs, Reece understands the desire for people who start businesses to want them to continue after they’re gone. “In a way, it’s their baby,” he said. One of Aharon Boghosian’s first jobs working for Gilberte Interiors, the family business his parents began out of their house more than 50 years ago, was making drapery rods after he got home from school. He was 11 years old. Today, Boghosian and his sister, Cheryl Boghosian, co-own the interior design business, which is located in downtown Hanover. But that doesn’t always mean he gets to escape the more mundane tasks, such as cleaning up the showrooms or shoveling snow in front of the store. As is common with successful family businesses, the employees work long hours and don’t stop until the work is finished — even if that work is a full wastebasket. Boghosian’s parents set the example. Gilberte and Antranig “Andy” Boghosian began work before their kids got up to go to school, and they worked into the night. At the time, Andy Boghosian spent his days as an engineer at Split Ball Bearing, and he’d bring home engineer friends to tackle projects after work, doing whatever it took to help the business succeed. As the business grew, expanding from fabrics to home furnishings and design services, so did their need for space. Gilberte Interiors slowly took over their Hanover location until they had the opportunity to buy the building, with its 20,000 square feet divided among furniture displays, fabric libraries, a workshop and office space. Its bath, kitchen and cabinet showroom is being updated this year. When it comes to hiring, Boghosian said they look for people who will fit into the family business for the long term. A couple of Gilberte Interior’s employees have been with the company for more than 20 years. One has been around for 40 years. “When we hire an employee, they’re part of our family — whether they like it or not!” Boghosian joked. After college, he and his sister struck out on their own for a time, as many children of generational businesses seem to do. “My sister and I were both encouraged to spend time away from the family business,” he said. Boghosian took a job with one of the store’s window treatment vendors, who was impressed by how much of their product Gilberte Interiors sold. Boghosian rose through the ranks, spending about a decade away from the business. But as he was considering solid job offers in big cities like Phoenix and Chicago, his parents were getting older and thinking about their future. There was a family meeting. Were the kids interested in taking over Gilberte Interiors, or should they look at selling? “I had to make a decision,” Boghosian said, and once he committed to the family business, he’s never looked back. His sister returned soon after he did, along with her husband, Neil Roth. With everyone working together, “we could do a lot more things,” Boghosian said, and the business really took off. The fusion of his mother’s sense of fabric and fashion with his father’s engineering and design expertise is what really made Gilberte Interiors special, Boghosian said. The store also prides itself in maintaining a workshop to create custom soft goods. “You end up with a much better product as a result,” he said. Andy Boghosian died in 2017, but the decades of experience that he and his wife have shared with the next generation still make a difference at Gilberte Interiors. Like any father and son, the two butted heads occasionally on how to approach projects. “I’ve quit as many times as he’s fired me,” Boghosian said. But they never differed on the overall vision for Gilberte Interiors. “We’ve always wanted to go the same way, and we’re very fortunate that way,” he said. Gilberte Boghosian still comes into work every day, following her early morning swim workout at the River Valley Club. Reflecting on a life of long hours spent building a business, she said she’s happy that she got to spend a lot of time with her family, even if it much of it took place at work. “It was just part of life, and there was not much we could do,” she said. When Gilberte Boghosian suggested that they were able to keep business and family matters separate, Roth, who handles the business side of Gilberte Interiors, jumped in with a contrary opinion. “We talk about it all the time,” he said, smiling. Gilberte Boghosian laughed, though she didn’t deny it. “We have fun together,” she said. Her only real regret is not having had more time to travel with her husband, a famously social man who stood out even in an outgoing family. But she’s proud of how her kids have taken over the business. Long-term clients also are happy to have family members stepping in to continue Gilberte Interiors, a generational business advantage. Aharon and Cheryl Boghosian each have two grown children out in the world, but Aharon Boghosian isn’t sure whether any of them have the desire to run the business. As manager of Jake’s Quechee Market in Quechee, James Kerrigan enjoys having a clear mission of serving his customers’ needs and wants. “And we get feedback on that every day,” Kerrigan said. If something sells, his customers must want it. If it doesn’t, then he needs to make adjustments. The 8,000-square-foot store and deli has been open for more than five years, but the place still looks new. The ceilings are high, making the space feel airy. There are aisles of basic groceries and locally grown produce, as well as plenty of prepared foods and a good-sized deli counter. 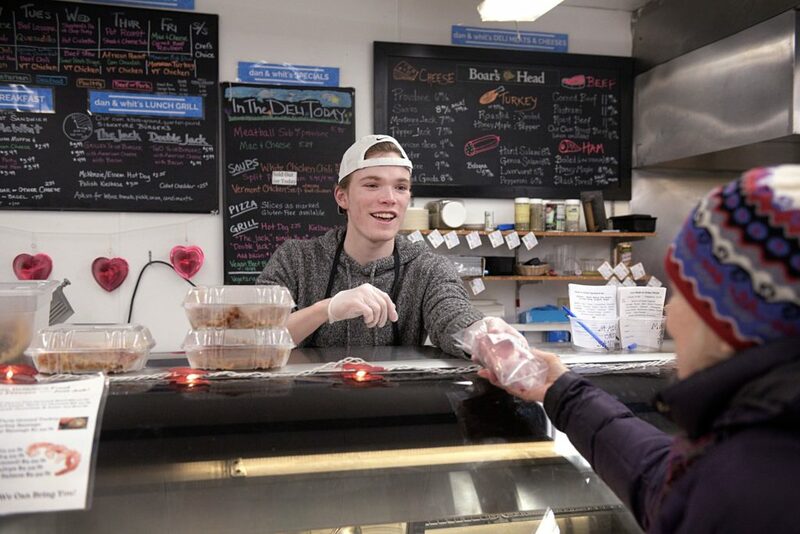 Jake’s Quechee Market also sells hardware and household goods, firewood and pellet sacks, and features a wine aisle and a beer “cave” — a walk-in cooler filled with different kinds of brews. 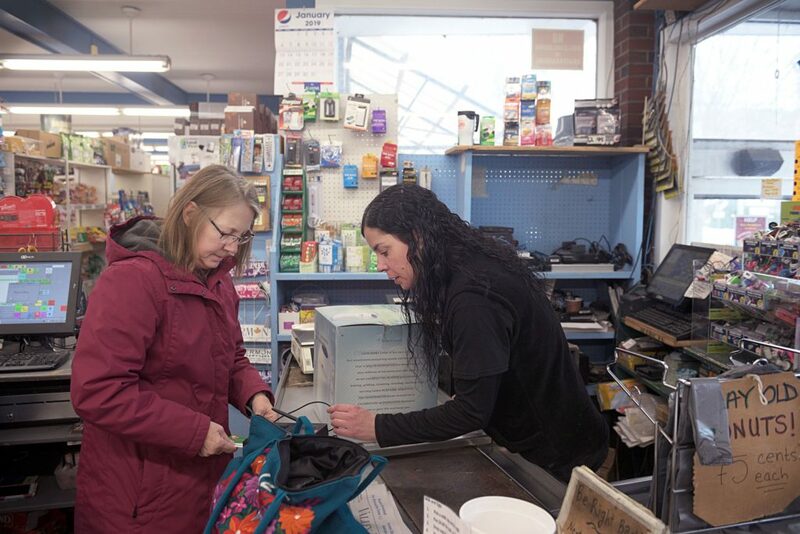 Kerrigan calls it a modern general store — more than just a convenience mart, and with a connection to the community it serves. He’s been around these kind of operations most of his life. His father, Ed Kerrigan, started the Jake’s Market & Deli chain of stores, and though James Kerrigan never officially worked there, he remembers washing windows before he was a teen. When it’s a family business, the line between work and home is never very clear, Kerrigan noted. Indeed, it can take some effort to separate the two during family dinners or holiday gatherings. “You have to be a little bit considerate of where those boundaries are,” he said. Last year, Ed Kerrigan sold the other Jake’s Market & Deli stores to his business partner, and both father and son agree that Jake’s Quechee Market isn’t simply a continuation of that operation. There are no gas pumps out front, which Ed Kerrigan said might make customers think of the market as just a gas station, and Kerrigan has focused on bringing in local produce to a place where you have to drive several miles to the nearest grocery store. “I feel like it’s something new,” Kerrigan said. Kerrigan started out working as a consultant post college. After four years, his father approached him to see if he was interested in helping to run the new market in Quechee. At first, he thought it would be for a limited time, and even his father told him he didn’t want it to become a life sentence. “And here we are, five years later,” Kerrigan said. Though he grew up in the Upper Valley and graduated from Hanover High School, Kerrigan had moved to Burlington after college, and that’s where he still lives with his wife and young son. It’s a long commute. When he and his father first launched the market, James Kerrigan spent a lot of time in Quechee. Today, he can spend a few days a week working from home, and when he’s stuck late at the store, he knows he always has a warm place to sleep. “My parents are nice enough to let me crash in their basement,” he said. Kerrigan said he can’t imagine trying to start something like Jake’s Quechee Market without leaning on his father’s experience and expertise. As a new father himself, Kerrigan has “a tremendous amount of respect” for his father’s accomplishments in starting Jake’s Market & Deli stores when he had a young family. The years Kerrigan has spent working with his father have been an education. While many of his peers went back to school to pursue a business degree, James jokes that “I chose a slightly more affordable ‘Kerrigan MBA’ program.” There’s the occasional tension that comes with working with family, especially a parent, but overall Kerrigan said it’s been a rewarding experience. Ed Kerrigan agreed there is a learning curve in working with family. Turning over responsibility in a family business means that one person can’t make all the decisions anymore. However, he said he’s impressed with what James has done with the Quechee market. “It’s been really wonderful,” Ed Kerrigan said of working with his son. Early on, Kerrigan was sensitive about feeling like he’d been handed the position of managing the market. But he’s worked as hard as he could to prove that he was worthy of this opportunity. “I’m amazed, I’m impressed,” Ed Kerrigan said of his son’s diligence. And “he likes what he’s doing. He likes being part of the community” and dealing with area vendors. If Kerrigan could offer advice to other generational businesses, he’d echo his counterpart at Dan & Whit’s about being above board when it comes to financial matters. Clear discussions about the family business is important for everyone involved, he said. Kerrigan also appreciates that in a generational family business, the other person has your back and looks out for your interests. “You really don’t have to question that,” he said. Ed Kerrigan may have sold his chain of stores, but he remains involved in the new operations. Last summer, father and son opened Squechee Clean, a car wash and laundromat just down the street from the market. It’s a seemingly odd combination, but Kerrigan explained the community needed a laundromat, and that washing clothes and cars both require a big boiler. And coming up in February, the Burlington-based chain Skinny Pancake is expected to permanently move into the 2,000-square-foot cafe area attached to the market. Hiring remains an issue, especially over the past year or so. The market typically has between 12 to 20 employees, and being a generational business doesn’t help them find more. “It’s just hard to hire people,” Kerrigan said. Lately, Kerrigan has been planning a new market project closer to home — and with a shorter commute. “That’s going to make it harder for me to be involved here day to day,” he said. While his father owns Jake’s Quechee Market and Squechee Clean, Kerrigan will own this new project, though his father will remain involved. His father’s years of experience are a valuable asset Kerrigan is not ready to let go of. During an interview at the market, lights in the still-closed restaurant area went out, silencing the fans and the buzz of electrical appliances. When you’re working in a family business, there’s never a dull moment. Kerrigan stood up and prepared to address the lack of power. “I guess I need to get back to work,” he said.